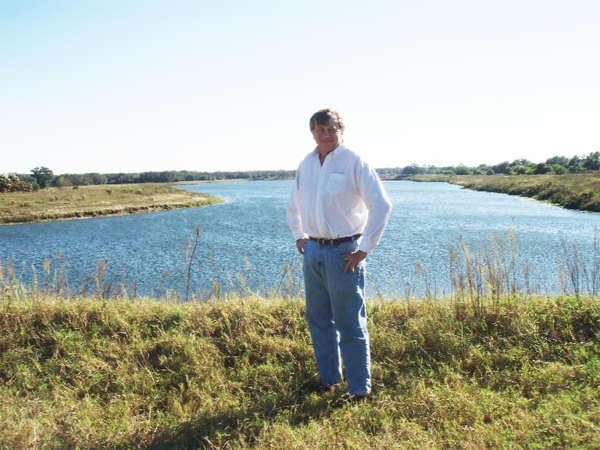 Developer of Freedom Harbor Rich Mozdzer stands in front of the 70-acre lake at the center of the development. 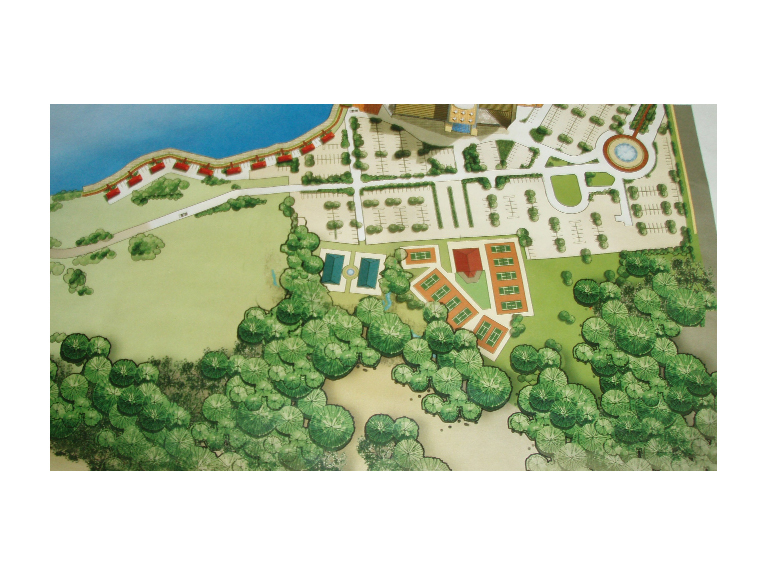 Renderings do not do Freedom Harbor justice. Just off Bullfrog Creek Rd., just east of I-75, is an enormous 123-acre piece of land, complete with an approximately 70-acre manmade lake. This is the site of the soon-to-come Freedom Harbor, the brainchild of developer Rich Mozdzer. The facility will be home to a five-story sports complex with three indoor ice skating rinks, a rock climbing wall, a snow village, a banquet hall on the fifth floor, a members only private club and more. The newest development for Freedom Harbor is its partnership with Ft. Myers-based EmCyte Biological, which will offer stem cell regeneration rehab at the site’s 50,000-sq.-ft. medical center. According to Mozdzer, the rehab involves taking blood or bone marrow from one’s own body and, within an hour, separating out the stem cells and using them to treat one’s affected area of the body, most of the time without surgery. In addition to this, other specialty doctors will be part of the medical center as well, including partner in Freedom Harbor, Dr. Frank Sirchia, who has operated Family Medical Center in Riverview for 16 years. Speaking of breaking ground, the end of 2011 is the expected date for that and the project will be completed in stages, with the sports complex and medical center first on the list. Businesses that have committed to Freedom Harbor include RCI timeshares, a worldwide company; the Suncoast Sports Festival, which is currently at the Florida State Fairgrounds; the Suncoast Gymnastics Academy; Florida Watersports, which will be responsible for water skiing and wakeboarding; Austrian ice skater Michael Nemec, who skated with Disney on Ice for 11 years; Solar Roadways, which will be creating solar paneled roadways and parking lots; and Velocity Sports Performance, specialized sports training which is nationwide with more than 95 locations. Freedom Harbor also has the backing of the Tampa Bay Sports Commission. Stan Neckar, a former Tampa Bay Lightning player has joined the Freedom Harbor team to provide training; as has a three-time Olympic champion Svetlana Boginskaya for the girls gymnastics competition; and Jakub Pilecky, of Voda Sport – Cabletow. The partners of the project are Mozdzer, Sirchia, Pilecky, Nemec and Debbie Reynolds. Mozdzer hopes the sports complex will have a four-fold use: professional training for not just the Olympics, but for professional athletes; recreational sports; team building; and endurance sports. “There will be classes for children, it will be open to the public, part of the [sports] academy and for professional training with professional athletes,” he said. Mozdzer expects the spot to produce between 500-800 jobs, with upwards of 1,000 once it is complete in 2012-2013. For more information, please visit www.freedomharborlive.com.